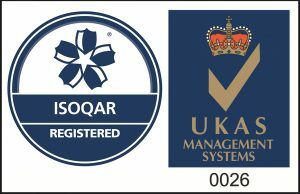 Units can be single pass or triple tiered built in stainless steel Grade 304 as standard, to offer improved accessibility for cleaning and routine maintenence. 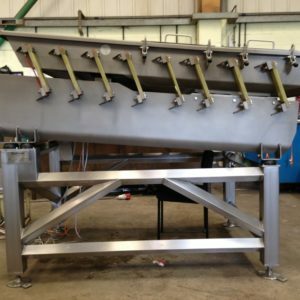 Full length doors are fitted all around the machine, included above and below the feed and discharge sections. These allow access into both top and bottom plenum chambers along with the main dryer chamber itself. 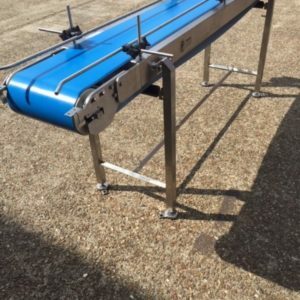 A range of product spreading and feeding systems are also available, including scarf edge vibratory conveyors, reciprocating rake and oscillating belt systems. Electric, gas and thermal oil heating options are available. The dryer features an industry standard, digitally controlled burner, integrated circulation fan, door interlock system, user assisted access panels and global project and service support from Flo-Mech. 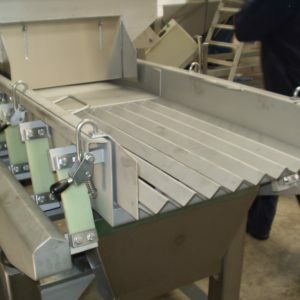 The product is spread evenly across the in-feed belt which enters the product drying chamber. The product belt moves slowly through the drying chamber. 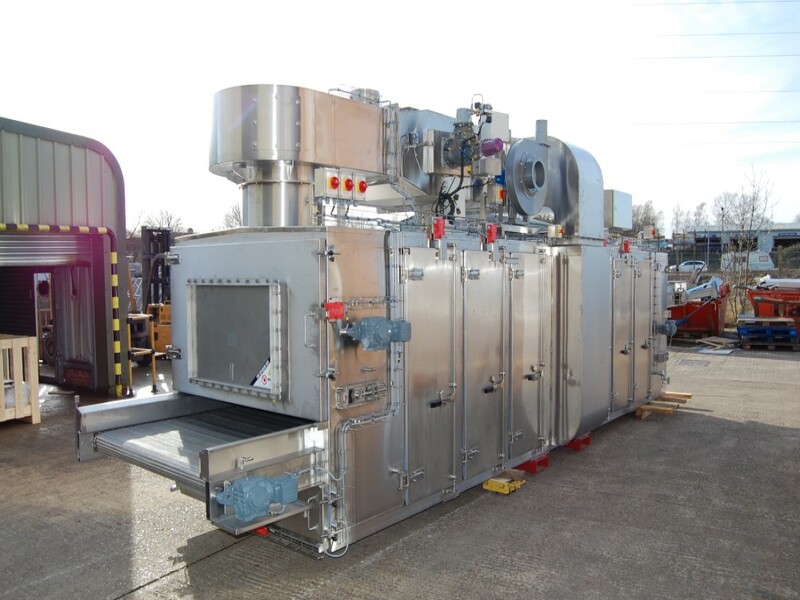 Air is heated by an integrated gas burner and forced into the drying chamber. 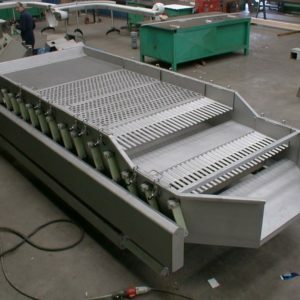 The air is directed into the drying chamber by a unique split duct system, this evenly distributes the heated air across the full machine width and length to ensure efficient drying of the product with minimal energy consumption. The warm air is continuously moved through the drying chamger to remove excess of the burner to maintain the set point required. Belt speed is controlled via variable frequency drive to ensure the correct residence/drying time is achieved to give the correct exit moisture level. There are many applications that suit this drying principle.